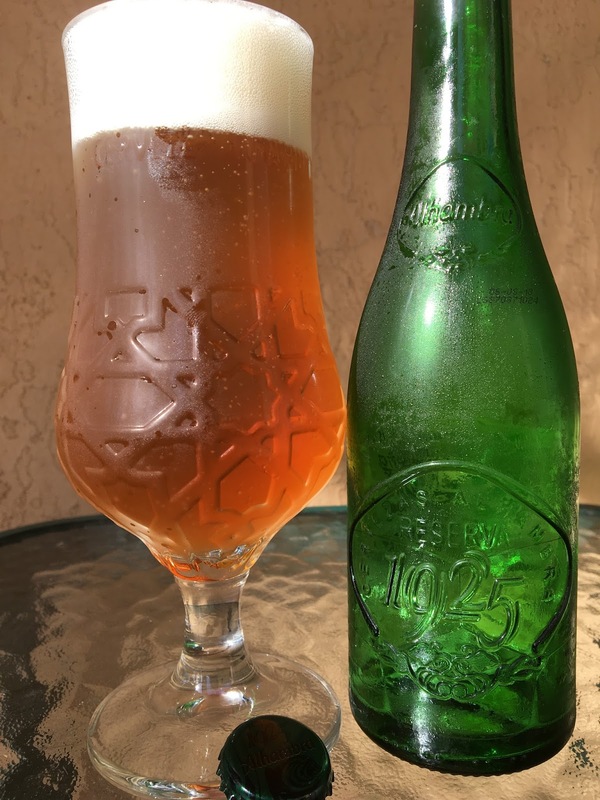 Today I'm checking out Cervezas Alhambra's Reserva 1925. This is an 'Extra Lager' brewed in Spain. Came in a green glass bottle, beautifully decorated, yet still in a bottle that is totally susceptible to becoming a skunk bomb. 6.4% alcohol. 26 IBU. 11.2 oz bottle. Floral aroma with grain and toast. Whew, no skunk! Cereal, toast, lightly sweet flavors to start. Some honey and apple hints come next. A nice little nip of bitter balance shows at the finish. A step above normal Euro lagers I've tried. Pretty nice.